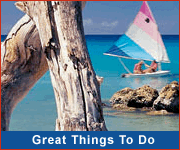 Excursions For Cruise Passengers In The Caribbean! 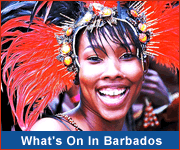 If you are visiting Barbados as part of a Caribbean cruise, you are sure to be delighted with the range of tours and activities available to you. Choose a full island tour to see the natural beauty of the island, a specialised tour (such as eco or heritage), or customize a tour just for yourself! A cruise tour specialist will make sure you get the most out of your brief stay with us in Barbados and are returned to the ship at the appropriate time. Jump ship to the Jolly Roger to enjoy a day of fun snorkelling with the turtles, and partying with the pirates. The best way to spend your time ashore is with Lickrish Food Tours. Indulge in delicious local delicacies and fascinating history with our Bridgetown tour, which takes place only minutes away from where your ship docks. At Mount Gay Visitor Experience, experience over 300 years of perfection and discover the heritage behind the crafting of the distinguished Mount Gay Rum. Located just a few minutes from the cruise terminal. Prefer to spend your cruise day in Barbados at the beach. Discover the best beaches near to the cruise port.